Mr. Abraham Cristall, Edmonton’s first Jewish citizen, purchased land on the south side of the North Saskatchewan river on May 26, 1907, for a Jewish Cemetery. 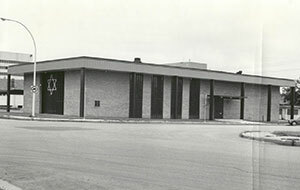 The land was located at 7622-101 Ave., which still serves as the community cemetery. The original Edmonton Men’s Chevra Kadisha members were chosen from the original founders of the Beth Israel Synagogue in 1907. The society was officially incorporated in 1925. 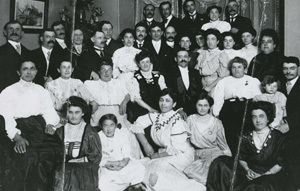 The women’s Chevra Kadisha got started unofficially in 1914. The Jewish Archives and Historical Society of Edmonton and Northern Alberta exists to preserve and protect the Jewish heritage of Edmonton and Northern Alberta through the collection of archival documents and audiovisual materials. 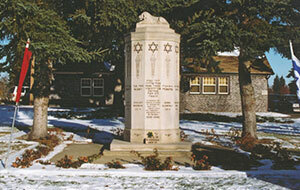 ©2013 Edmonton Jewish Cemetery. All rights reserved.